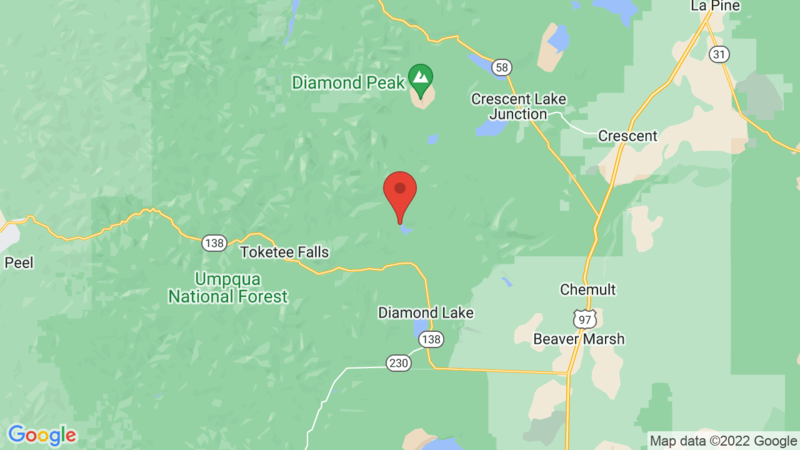 Poole Creek campground has 60 single-family campsites and is located is just south of Poole Creek on the west shore of Lemolo Lake. Group camping is also available. Single-family campsites can accommodate tents, trailers and RVs. Each site also has a table, fire ring and grate. Twenty-seven sites are reservable and the rest are first-come, first-served. Campground amenities include drinking water and vault toilets. There’s also a boat ramp next to the campground. Firewood is available for sale from the camp host. Lemolo Lake has some fine fishing and is home to Eastern brook trout, rainbow trout, Kokanee salmon and even German brown trout. Other outdoor recreation includes boating, water skiing, jet skiing, windsurfing, swimming, canoeing, kayaking, hiking, mountain biking and picnicking. Wildlife viewing is also the bomb here. East Lemolo and Inlet are two other campgrounds also in the Lemolo Lake Recreation Area. Visted Poole Creek Campground lately? We'd love to hear about your adventure. Did you find us useful? Did we forget something? Anything our community should know before heading out to Poole Creek? Unfortunately there is no waiting list for campsites (specific or otherwise) at Poole Creek campground. My best recommendation would be to check back each day at Recreation.gov.